Previously in this blog I have provided the list of best budget and mid range graphics cards for users who have limited budget but want to enjoy latest games on their PC. But here I am going to list down the top of the range Graphics cards from Nvidia and AMD/ATI that can run almost every latest game on highest possible graphics settings. What makes these Graphics Cards so Powerful & Costly? Here are the various things that makes a high-end graphics card so powerful and expensive in price. 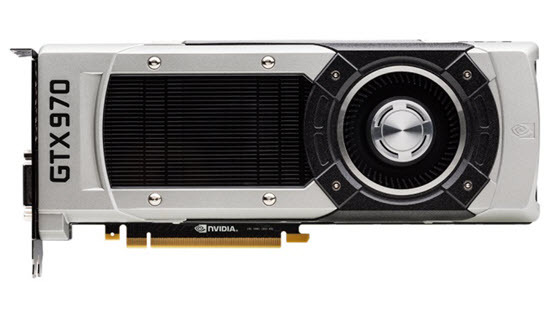 Here are the best high-end graphics cards from nvidia. GTX 970 is the entry level card in high-end graphics card category. You can say that it is the budget high-end graphics card but it does not disappoint on performance. GTX 970 is a high performance graphics card from nvidia that is based on the latest Maxwell architecture. GTX 970 can really max out some of the latest and high-end demanding games at medium to maximum settings with playable frame rates. So if you are looking for a high-end graphics card that is easy on your pocket then GTX 970 is the one that you should go for. It is priced in the range of Rs. 25000 – 30000/-. There are different editions of this card available which are: STRIX GTX 970, GTX 970 AMP, GTX 970 GAMING and TURBO GTX970. GTX 980 is a very powerful high-end graphics card from nvidia. Presently it is the third best graphics card from nvidia. It is one of those graphics cards which can max out any latest game or highly demanding game and that too on high resolution. It is also based on the Maxwell architecture and is much more expensive than GTX 970. So if you have the budget of Rs. 40000 – 50000/- and want to buy a graphics card that offers higher performance then go ahead and buy GTX 980. Various versions or editions of GTX 980 are: STRIX GTX 980, GTX 980 AMP, GTX 980 GAMING. GTX 980 Ti is an upgraded version of GTX 980 has got relatively more power than plain GTX 980. IT has got 768 more Cuda cores than GTX 980. Also it has got 384-bit GDDR5 Memory as opposed to 256-bit in GTX 980. This performance difference by having extra amount of Cuda cores and memory interface can be easily seen in the high-end and demanding latest games. If you want a graphics card that is more powerful than GTX 980 then GTX 980 Ti is the one that should go for. Various versions or editions of GTX 980 Ti are: STRIX GTX 980 Ti, STRIX GTX 980 Ti OC, GTX 980 Ti GAMING, GTX 980 Ti AMP EXTREME. 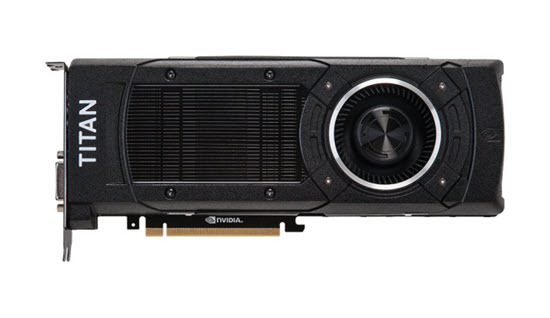 GTX 980 Ti Graphics cards is priced around Rs. 55000 – 65000/-. 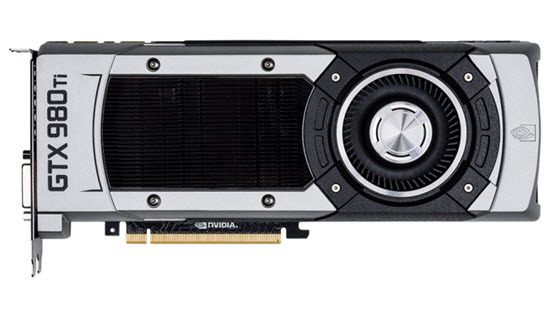 GTX TITAN X is one of the most powerful graphics card made by nvidia till date. This card is a beast and can run any game on highest possible graphics settings and resolution. Also it is one of the most expensive graphics card out today. It is built on the latest and advanced Maxwell architecture. This graphics card comes at a price of around Rs. 88000/- which is way more than any graphics card out there. It comes only in one variant having 12GB of GDDR5 memory having 384-bit bus width. So if you don’t have money or budget issues and want to buy one of the best graphics card for your PC then there is only name which is GTX TITAN X.
GTX TITAN Z is the fastest graphics card made by nvidia till date. It is a gaming monster and is made to dominate all the latest games with ease. It is a dual GPU graphics card which means there are physically two same GPUs (Graphics Processing Unit) sitting on a single card. This card is also based on Maxwell architecture and can even beat the mighty GTX TITAN X in performance in games and other benchmarks. This graphics card is only meant for crazy gamers with monstrous PC configuration who do not care about money. It comes at a price of around Rs. 90k. It comes only in one variant having 12GB of GDDR5 memory having whopping 768-bit bus width. Here are the best high-end graphics cards from AMD/ATI. R9-390X is a high-end graphics card from AMD/ATI. It is graphics card that can match GTX 980 from nvidia in performance. Also it is priced in the same range as of GTX 980. If you do not want a high-end card from nvidia then Radeon Radeon R9 390X is a perfect choice for you. It is priced at around Rs. 40000/-. Available versions are: STRIX R9-390X. 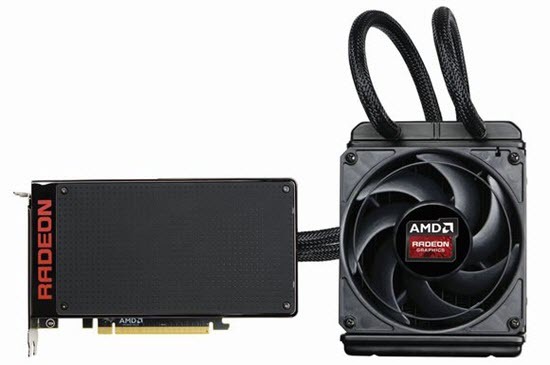 AMD Radeon Fury X is a very powerful high-end graphics card from AMD. It is the second fastest graphics card from AMD as of now. It can perform as good as GTX 980 Ti but can fall short a bit in some games. This card comes fitted with liquid cooling solution. AMD Radeon Pro Duo is the top of the range or flagship graphics card of AMD. It is the fastest graphics card in the world beating even GTX TITAN Z. Some testing results showed that it is up to 51 percent faster than GTX TITAN Z. As the name suggests Radeon Pro Duo is also a dual GPU (Fiji GPU) graphics card. This card is really a monster and it is so fast that for fan/heatsink it is equipped with liquid cooling solution. This graphics card is a really a gamers dream and it cost more than Rs. 1 lakh. 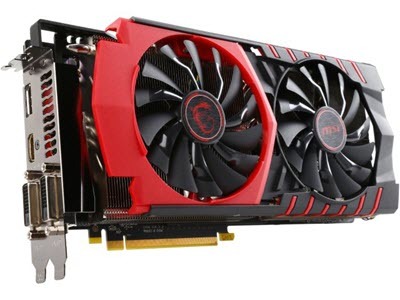 This card is also known as AMD Radeon Fury X2. High-end graphics cards are very power hungry and requires a good SMPS with higher capacity for their working. So if you are upgrading from a budget-end or mid-range graphics card then may have you to change your PSU and get yourself a better one that can take care of your high-end graphics card. Here is guide for finding a suitable SMPS for your graphics card. i want to buy a pc for my son for high end gaming between rs 350000 to 400000..please tell me its specs so that it will be futureproof for atleast 3 yrs and tell me brands of the devices .. Does this cost include monitor and keyboard as well? Are you okay with AMD? It may cost you a bit over 20k.